Partake in Paducah | Stories, News and Events in Paducah, KY. 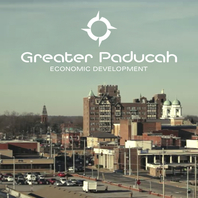 Greater Paducah is a public/private partnership formed to attract jobs and wealth to Paducah through assisting existing businesses and recruiting new ones. Strawberry Hills Pharmacy & Compounding Center strives to serve the needs of every patient with care and courtesy. "Our Specialty is YOU!" Hibbs Insurance, providing comprehensive insurance products at the lowest possible premium since 1960.